Teaching the value of money is difficult.Guess why?Because we have a twisted psychology towards it.If you have grown up in a middle-class family you have obviously heard the talk about living honestly and comfortably.Don’t need a lot of money! Poverty is glorified and poverty and honesty seem to go together.While wealth and dishonesty are best friends. That’s a big mind block to making or saving money.The mechanism is so ingrained that whenever people have more money they spend it on unnecessary items.This continues till they go back to that comfortable state of just enough money. How useful is this psychology for Making or keeping Money? For teaching children about money should come from childhood.What we teach now will influence them forever and shape their lives.Money is energy and is actually a means to barter.Money advice and lessons will depend a lot on the childs age and your relationship with money . Money is energy and is actually a means to barter. When people give you a product or service we pay by giving money .Money should be exchanged in this way so that the balance is maintained.Saving money is very important. But so is earning more.In order to earn more the value, you provide with a service or product needs to be increased many folds. That’s why you need to study hard and develop a useful skill so that you can help others and support yourself. Spending money on unnecessary things which you don’t want to play with after 1 day is no fun.Save your pocket money to buy things which you will enjoy for a long time. The extra pocket money will mean extra chores around the house.My daughter is five, and she helps me with making beds, management, tidying up her books crayons pencils.Keeping track of her own things.You can always give work according to age.Knowing housework is important for both boys and girls and this is basically three birds with one stone.Home management, money management and also the value of honest work! Always help others be self-sufficient. Lending or borrowing money between friends should always be discussed with parents. Keeping a little bit of your pocket money in the piggy bank will help you. Always spend less than you earn.When you take care of your present your future will always be rosy. Open an account with him or her.A joint account with Guardian will get you a fully featured minor account.Beyond 10 years, they can have their own account too!. Start a recurrent deposit with them which can act as a college fund for them too. If you start investing in a mutual fund through online portals you will have time on your side and the magic of cumulative interest working for you! You can give her bonus after she/he is able to save a particular amount every month. Earning money honestly and growing it is not BAD!It is in fact GOOD.When you create wealth that helps improve not only the situation of your family but also the economy of the country.Sounds far-fetched but , every drop matters. You can write a post prompt or link up your new post in the linky. We share and visit each blogger who links up. This is not just a blog hop.This is a journey. That’s a total of at least 4 posts we want you to give some love. Write the post and Link Up with Amrita or Deepa. Copy the badge code and put it at the end of your post. Prompts will be announced every Sunday at 21.00 hrs IST.Linky opens till Sunday 21.00 hours.We always visit the blogs and promote them as much as possible.It’s like your own blog promo.What’s not to love? We share your entries on twitter and other social media platforms generously. Who doesn’t like blog promotion? Enter the contest through the raffle copter giveaway and submit a post using the blue button below.Multiple entries allowed. 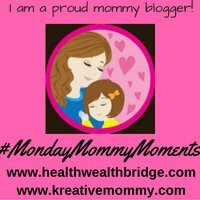 MMM is all about supporting other moms and this mother’s day we are planning some activities to support all the mom bloggers. If you are writing an E-book, we are going to promote it through our blogs.Just send us a blurb, your author bio, and a profile pic. We also have a May #supermom contestYou can write on the prompts every week as they come or even later and link up in the most recent linky . Week 1: The most beautiful part of being a mom / Salute to motherhood or 10 Best mothers day gift ideas. Week 2 5Best resorts in and around your city! Submit as personal experiences, short stories, or poems. Having a blog is not mandatory.If you don’t have a blog, e-mail us your entries to dramrita@healthwealthbridge.com or deepagandhi1 @gmail.com and we will post on our blogs with your authorship. All entries must be within 350-500 words. All poetry entries should be more than three stanzas. Subscribe to both our blogs like & follow the Facebook pages too. Your work should be original. Don’t get bitten by too much inspiration that your work fails the plagiarism checker.We know you can do it. All entries should be sent on or before 31st M May 2017.So HURRY! The decision of the judges will be final. Share your entries on social medias and tag 3 friends. The first winner gets Rs 750 Amazon gift voucher, the Second winner gets Rs 500 gift voucher and 2 third prize winners each gets 250 Rs gift voucher each. Also #MMM super mom winner certificates.Don’t wait.Write and link up NOW! Money saved is money earned. And money invested is like making the money work for you. Explaining this with our own examples helps kids understand the importance of it. Earlier the better for long lasting effects. Agree you Amrita! Loved reading your post. You have covered all the points so beautifully. My daughter is 5 years and i teach her something on these lines every day be it piggy bank or getting rewarded. My son is only 5 year old, and so of-course he doesn’t get any pocket money as of now, though he does get reward points in the form of reward magnets, for extremely good behavior, and when he collects enough magnets- we get him a toy. I think that learning about money at a young age is so important. You shared some great tips here! Thank you for sharing your tips. The earlier people begin discussing finances with their children, the better prepared they are for life and adulthood. Very helpful post. My parents did open a joint account with me and my sister and that was a start to us getting ready to handle our finances. I was useless with my pocket money as a child/ teen but now that I work hard for it, I’ve learned the value of it and I look at things in terms of how many hours that item would cost me. There are some great tips you have given here Amrita. I like the idea of opening a bank account for kids. We have been planning to open one for our elder one. Its important for kids to understand this from an early age. Some great tips here! I always make sure that I encourage my daughters to think carefully about what the spend money on. Yes that’s a good way too. I also wonder how I will teach my child about the value of money. I’d also like to delegate tasks for home management and money management but he’s only 13 months old so I still have some time I guess. Haa haa .Yes its too early now. I couldn’t agree more. Kudos to you for teaching these values to your daughter while she is still young. I can’t wait to share this with my family members. Very relevant pointers, here, Amrita! I’ve been talking to my son about these for some time now. I think this is a ‘must have’ discussion that needs to be done early on in life. But even more so, its about how we set an example to them. This is very useful and I think it does start at a young age. Great tips! Very useful and relevant pointers Amrita. Thanks for a great post. Wow! Those are some really practical tips. I’m sure can Any child if the habit is developed at the right time. My son helps me with chores around the house but he doesn’t get pocket money for those. He has a piggy bank though. When he asks a for a toy when we are at the store I ask him to look at the price tag and then he makes the decision of buying or not. He understands that spending too much on toys isn’t good. I do let him make mistakes too in making decisions while shopping. Otherwise how will he learn, right?